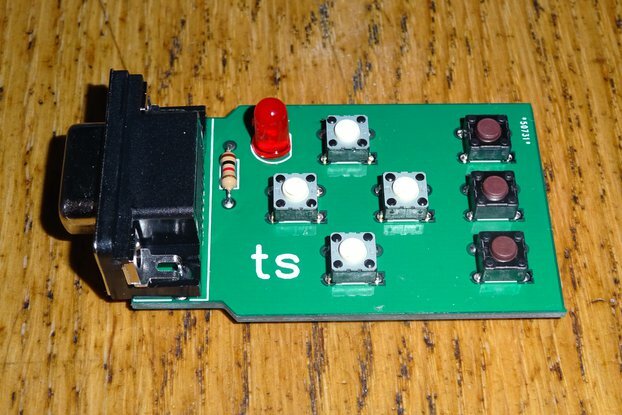 A kit for creating custom keypads. Designed for prototyping but also suitable for production. USB & Serial interfaces. 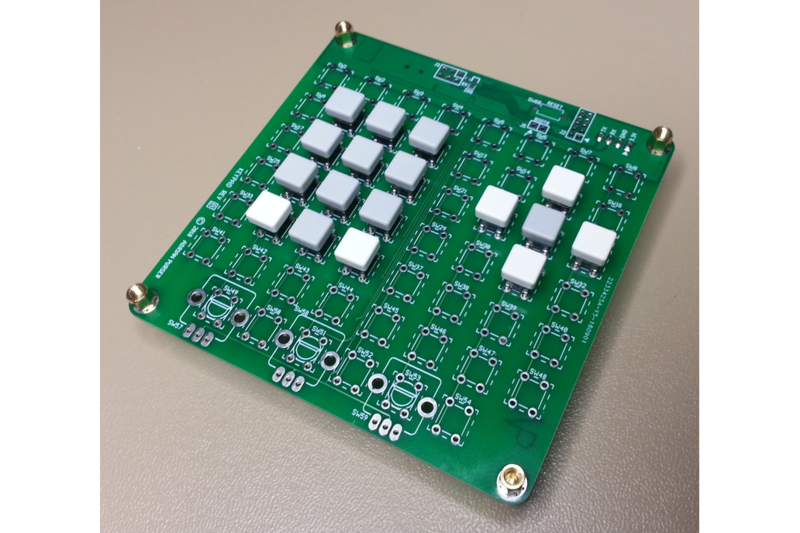 This board allows you to create custom keypad. Up to 54 buttons and/or up to 3 EC12E rotary encoders can be used in a variety of combinations. The rotary encoders share the same position as some of the switches so a maximum of 51 buttons can be used if all 3 rotary encoders are fitted. The keypad has two separate interfaces, USB and serial UART. Either interface can be used independently and either interface can be used to power the board. 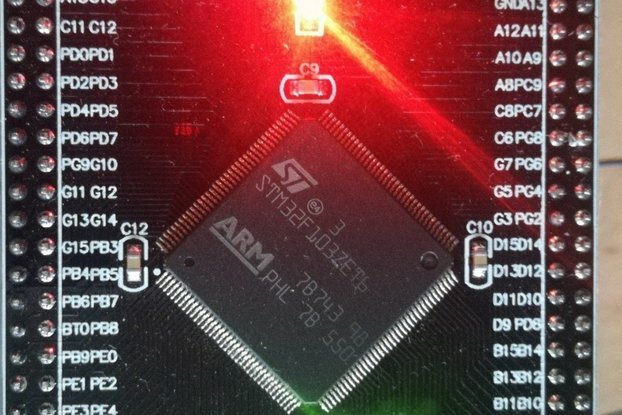 The serial interface uses +3.3V logic levels so a level translator will be required to use it with a +5V Arduino or similar. The USB interface appears as a standard HID Keyboard. Each button has it's own diode to eliminate ghosting. The keypad supports standard 6x6mm tactile switches which are widely available in many styles. The board is available with or without buttons. EC12E rotary encoders without push switch are supported. Over the years I have often required a custom keypad for various projects. Each time I spent a long time hand wiring switches on perf' board with many wires and diodes. I created this project to allow a custom keypad layout to be created quickly and easily with a mixture of buttons and/or rotary encoders. The dual interfaces allow the keypad to be connected to many different devices such as a PC or embedded processors. This project is very versatile. It can be used for both prototyping and production. The board can be configured in many different ways and connected to many different devices.